Quirky smart bulb maker Sengled likes to slap security cameras and speakers in its lights, and the company has funky fresh devices to show off at CES 2018. Color is coming to Sengled’s Element line and Bluetooth speaker bulb, and new security and motion sensing bulbs are making their debut. The new Element Color Plus bulbs add the potential for 16 million color variations, Sengled says. 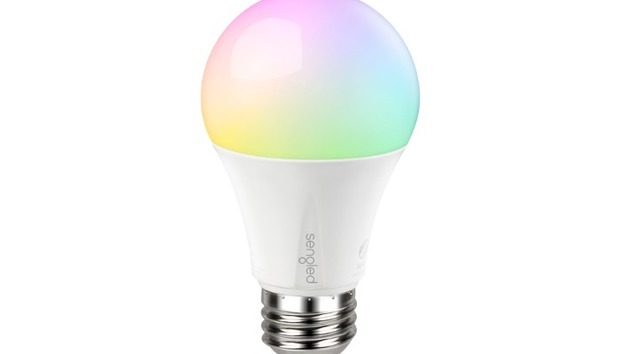 The Color Plus bulbs also include the same features as Sengled’s white Element Plus bulbs, including scheduling, color temperature tuning, and energy use tracking. Like other smart home products, Sengled’s bulbs are controlled by a mobile app for Android and iOS. The Sengled Element Home app can control up to 65 bulbs at once from the Classic, Plus, and Color Plus lines. Color is also coming to the Solo Plus bulb. The Color Solo Plus also supports up to 16 million color variations and comes with an audio speaker that can stream music via Bluetooth. We haven’t tested at the white light version of the Solo Plus, but we did review the Pulse Solo in June, and we weren’t entirely impressed. It’s kind of handy to have a speaker that doesn’t take up any extra space in your home, but we felt that the obvious limitations of Bluetooth—constant reconnects when your phone leaves the room, for example—demonstrated how a Wi-Fi connection might have made a better choice. Wi-Fi integration would have added more complication and higher prices though, and likely require a hub to stream music. Also during CES 2018, Sengled is showing off the Snap 2 security camera light bulb. This new version adds a passive infrared sensor that is supposed to be better at telling the difference between people, animals, and cars. A new antenna is also on board for better Wi-Fi reception. Snap 2 also has cloud storage integration for any camera captures, motion alerts, night vision, and a two-way intercom. Finally, Sengled’s introducing an updated version of its motion sensor-only bulb, the Smartsense 2. This new version offers improved illumination times when someone is present. The original version could only do 90 seconds, but the Smartsense 2 can be set to stay on for 3, 6, or 15 minutes, as well as the original minute and a half. There’s also a “Daylight Off” mode that keeps the light from triggering unnecessarily during daylight. Pricing and release dates were not announced for any of Sengled’s new products.